Because there are just as many types of nursing programs as there are different types of nurses, deciding which one is right for you may seem a little overwhelming. Nonetheless, identifying the program that best meets your needs is actually not as difficult as you might think. It really just comes down to having a good idea of what your career goals are, and choosing the type of nursing degree and school that provides the best opportunity to reach them. 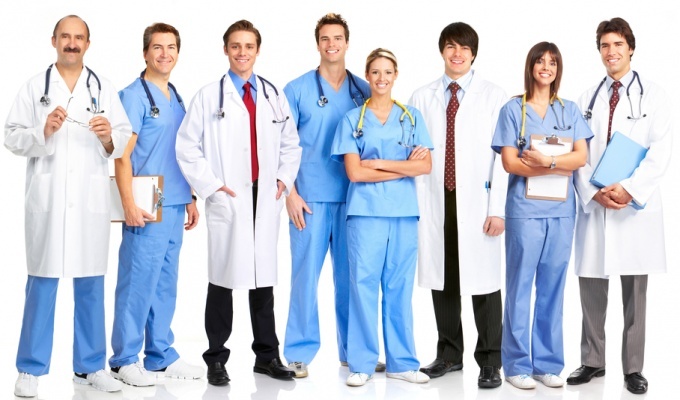 Which Type of Nursing Program is Right for You? There are many different ways to categorize nursing programs, but let’s start with one of the easiest methods – diploma/certification courses vs. degree programs. If your goal is to get started in the nursing profession as quickly as possible, and you’re willing to work your way up the ladder a bit, then you may want to consider enrolling in a certification or diploma program. These programs typically last between six and 18 months, and award either a certification that allows their students to become a CNA (Certified Nursing Assistant) or a diploma that lets them test to become an LPN (Licensed Practical Nurse). Advantages: Finish school quickly and start earning a paycheck. Disadvantages: CNAs and LPNs tend to be at the bottom of the pay scale for nurses and have limited opportunity for advancement – unless they enroll in a bridge program to become RNs (see below). For those who want to start their nursing careers in higher-level positions with more authority, more opportunity for advancement, and more pay, degree programs are the preferred option. Degree programs typically last a minimum of two years (for an associate’s degree), but can last much longer as well. The degrees awarded, however, allow students to start their careers as an RN (Registered Nurse) or NP (Nurse Practitioner). Advantages: Start your career in a position that has more authority and better pay. Disadvantages: You’ll spend quite a bit more time in school and quite a bit more money earning a degree. In recent years, another major category of nursing program that has emerged is the online nursing school. Here’s a quick comparison of the advantages and disadvantages of online nursing programs vs. those of the traditional brick-and-mortar variety. Providing students with the flexibility to “attend” class wherever, and whenever they like, distance learning has completely revolutionized education in the nursing field. If you are currently employed, have parental responsibilities, or would just prefer to earn your degree, diploma or certification from the comfort of your own home, online nursing programs may be right for you. Advantages: You can study, take tests and complete most of your theory training online instead of on-campus. You’ll also save money on gas, parking and meals. Disadvantages: You’ll still need to complete your clinical training at a physical location, and will miss-out on a lot of the networking opportunities enjoyed by traditional students. Conventional nursing schools, the kind where classes are taught on-campus, come in all shapes and sizes and offer a great many advantages. For students who prefer to be in a hands-on, face-to-face learning environment, enjoy networking with faculty and classmates, and who are able to clear time in their schedules to go to campus every day, on-campus nursing programs are tough to beat. Advantages: Ideal for students who learn better visually or through face-to-face instruction. There are also opportunities for networking and building relationships with future professional colleagues. Disadvantages: Students must attend class at set times, must commute to school, pay for parking, etc. Another popular type of nursing program is the so-called “bridge” program which allows current LPNs, CNAs and RNs to transition into higher positions through online study. These programs allow students to use their work experience for class credits and are specifically tailored toward part-time students who are already employed in nursing. If you’re interested in pursuing a BSN or MSN degree to advance your career, then bridge programs are something you should look into.